Original Published: 2014-10-07 11:40:03 Original Chinese Article: http://lol.178.com/201410/206653223123.html Translated by: Ryan Tang Reporter: How do you feel after winning such an important game? Cloud: Very excited and very happy. Reporter: How do you feel after winning such an important game? Cloud: Very excited and very happy. We finally can prove our strength. Reporter: Before participating in such an important game, did you worry you might make mistakes that drag down the rest of you team? Cloud: I definitely worried, but this is a very valuable opportunity for me. I don’t want to miss this chance to prove myself. Reporter: When did you know you would replace DaDa7? Cloud: It was decided in Busan after OMG finished the group stages games. Reporter: I heard you and San (Chinese fans call him umbrella) have been practicing for a long time, can you reveal some details? Cloud: We did have some internal training where we played against Gogoing and Lovelin on bot lane, Gogoing playing ADC while Lovelin playing support. Reporter: So what is the result, who won? Cloud: No one won, we mainly focus on specific tactical trainings [drills] such as hitting level 2 first. Reporter: Have you participated in team scrimmage after arriving Busan? Have you played against Korean team. Cloud: Yes, I have participated in team scrimmages, including scrimmages against some Korean teams. We won some and lost some. We mainly focus on some game routine practises. Reporter: If you can advance to final, which team do you like to compete with? Cloud: SSB, I feel we can perform better if we play against them. Reporter: How do you evaluate Mata and Zero? If you have face them how will you handle it? Cloud: The performance of a support will largely influence performance of ADC. 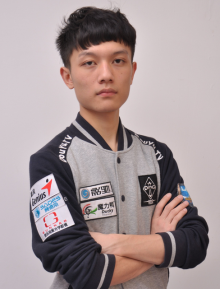 Mata as a very experienced player, he basically is the premier support [his phrasing also sounds like “founder”] of Korea, he can do a much better job of vision control than new supports. Mata is also very strong in offensive (attack). In general, an offensive style support is like someone who lives at the edge of a sword. They will master more aggressive skills, such as accurate damage calculation. For Uzi and Zero, who performs very well in protecting the mad dog ADC, it will be hard to kill them. So our strategy is to maintain an even game on bot lane and wait for the rest of the team to get ready. Usually we will be more conservative and cautious. Reporter: In the first match, the turning point of the game was when all 5 of you decided to go for the Baron. Who made such a decisive decision and why? NJWS was not too far from you at that moment. Cloud: That was Gogoing’s decision. We were betting they don’t think we will do it, since we have not done that before. Our goal was to get them by surprise with a different strategy. Reporter: Since many people are not too familiar with you. Can you introduce yourself? How do you join the OMG team? Cloud: Hello everyone, I am Cloud (??). In April or May, after I got rank 1 in Challenger as support, OMG contact me through QQ, asked if I like to join OMG. Their offer was pretty attractive and I felt they respect me and took me seriously, so I decided to join. Reporters: After you joined OMG, you were taking turns with DaDa7 to be the support in the games. How did you adjust yourself in the new environment and what was in your mind during that period? Cloud: I think I’m qualified for this position. So during the rotation, I would practise solo queue in Korea. Reporter: I heard that you and Deft have the same user ID in PVP.net (Korean LOL front-end interface)? Cloud: Ha Ha. That is correct. Cloud: We communicate in English, my user ID in PVP.net is “river in your heart”, and then one day Deft left me message saying “I’ll be you”, and then off line. Later he register a user ID the same as mine. Reporter: That sounds weird. At the beginning of the interview, you mentioned you like to play again his team in the final. Is this because you are more familiar with Deft? Cloud, Not really. Most of the time the game strategy are pretty dynamic. And the ways people played in ranking are very different from the real tournament. Reporter: Your were using Janna in all 3 matches. Can you share with us your reason for such decision? Cloud: At that moment, I believe Janna can give a better protection to our ADC and I did not feel any threat from opposite side on me. Reporter: I saw you had an interview with other news media earlier, have you shared any secret strategy with them? Reporter: After the first time as starter, do you have the confidence to the starter from now on? Cloud, Yes, this is a rare opportunity to me. Reporter: Based on the current condition of your team, do you think you will have the chance to celebrate as the champions? Cloud: Yes, definitely, because we can all see our condition during the scrimmage.